The ultimate reality connotes untainted nature of phenomena by the stains of subjective influence. Since the time of Shakyamuni Buddha and Arya Nāgārjuna, the quest for the ultimate ontology led to the discovery of a plethora of layers of reality detached from the influence of mere belief. 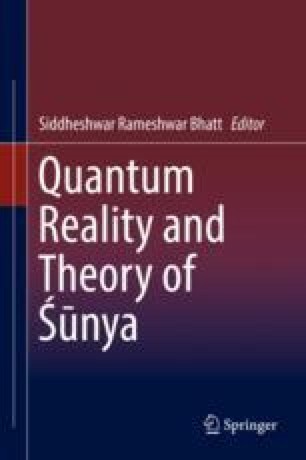 The many facets of quantum physics, such as quantum entanglement, quantum vacuum, uncertainty, randomness, observer dependency, and wave-particle duality, all point to the great complementarity of the two traditions – quantum mechanics and Buddhist philosophy. Buddhist philosophy, while probing into the deeper reality of the world, realizes the play of conventionality of dependent origination in the flux fabric of illusion while precisely not defying the efficacy of functional world. Arya Nāgārjuna said in Mūlamādhyamakakārikā that only when one sees the emptiness in the light of its true insight of dependent origination can one see the nuance of emptiness to be in stark contrast with nihilism. This legacy of wisdom has greatly profound implication in elevating an individual from the worst of the pains and stress of life. One with exposure to the two traditions can have a great advantage of gaining deeper insight into both the traditions. It is not a good idea to rashly leap to the conclusion that the two thoughts merge identically. Further inquiry is required to explore areas where the two overlap and where the two diverge, keeping in mind that quantum physics is still in its phase of development.